Collecting all the data is triffic... but naff all use without some means to make use of it. That's not a whole lot of use unless you're going to manually work out that the 0x100 packet is for the RPM and the first two data bytes (07 and F7) should be combined and converted into decimal to give you 2,039 RPM. The RPM CAN-Bus packet is simple; the others get a lot more complicated. Each column heading describes what's being shown and the unit of measure. So "RPM:int" means it the bike's current RPM and the values are integers. The "TPS:percent" column shows the Throttle Position Sensor as a percentage (this is the throttle controlled by the ECU - the Grip column shows how much you're twisting the 'throttle' on the handlebars. You can pull this CSV into your favorite spreadsheet program and play with it to your heart's content. Tip: you can paste the Lat/Long figures into Google Maps to see exactly where the data point was recorded; just seperate the lat/long numbers with a comma. In order to keep the size of file manageable for analysis, the export function only outputs a 'Log Point' each time the GPS position changes and the RPM value is greater than zero; in other words when the bike is moving under it's own power. The Logger builds up the CAN-Bus received between each Log Point and outputs the summation. While looking at the data in a spreadsheet can be interesting, the aim (pun almost intended) has got to be displaying the datapoints in a graphical format together with the position on a circuit map. 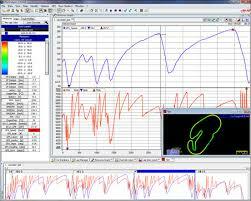 The best known, in race bike circles, Data Logger is probably AiM but although their Race Studio software is free to download, they intentionally do not publish their input data format so unless someone has reverse engineered it, that's a dead end. Producing output for a different format wouldn't be that hard and it could easily be built into the Logger's firmware as a compile time option.